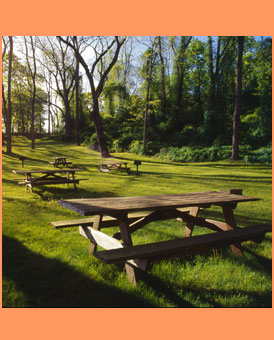 Picnic tables are parked strategically at Stoddard Hill State Park in Ledyard, which overlooks the Thames River, and has a trailering-in ramp for small boats and kayaks. It’s one of dozens of small pocket parks provided by the Connecticut Department of Recreation. Families can take a break from driving or make it a destination for fun.